This quote comes from from the Tavels with a Blonde Coyote. She is so right. I have been fussing with spice containers and should have been looking out for rain gear and cold weather gear and sun hats. I have two items on the “Truck Camper Luxury List” that may need to be moved onto the “Truck Camper Essentials List”. The first one is a pair of rubber boots. Tingley Mens 1400 Pull On Boots. 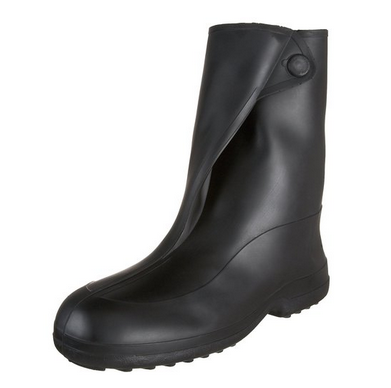 They get rave reviews on Amazon, are cost about the same as regular rubber boots, and can be stuffed into a small space. Having wet feet is not fun. The other item on the luxury list that deals with weather is a huge, windproof golf umbrella. This can stay on the luxury list. I have a hat and a small umbrella. I am pretty well set for cold weather since I have been living in the Rocky Mountains for the past 8 years,. I have long underwear, long sleeved cotton t-shirts (I know that cotton is not great, but I like it. ), a great wool sweater, scarves, gloves, a down vest, and a rain coat. The rain coat is a pretty good wind protector, also. I have a pair of shorts, which I never wear but might on the road. What more could I possibly want/need? This entry was posted in Essentials, Truck Camping Hints and tagged cold weather gear, rain boots, truck camping weather, umbrella. Bookmark the permalink.